The UAE Ministry of Community Development (MOCD) supported 865 Emirati families with marriage grants over Dh60 million ($16.34 million) in the first half of 2018, a Wam news agency report said. The ministry’s mandate involves developing and implementing policies, legislation and initiatives that contribute to the formation of happy and stable families in a positive community environment. Since the enactment of the Federal Law No. 47 of 1992, the ministry disbursed more than 65,000 marriage grants, the report said. Hessa bint Essa Buhumaid, Minister of Community Development, said: "Enhancing family cohesion is one of the ministry’s important strategic objectives, and supporting the establishment and stability of new families is an integral part of this priority. In addition to providing marriage grants, the role of the ministry extends to the provision of counselling and awareness programmes that enable couples who are getting married to start their life together on the right note." She highlighted the Eadad (Preparation) programme, an integrated training course held across the UAE that covers six main topics: family building, marriage and its requirements, family relations, coping with family problems, financial and family planning, partnership between spouses in raising children, and the role of the family unit in society. With sessions led by experienced family education specialists, the programme raises awareness of the importance of family stability and cohesion, and a positive home environment. In 2017, the ministry organised 31 training courses for 4,696 attendees. In H1 2018, 10 training courses benefited 1,280 citizens. 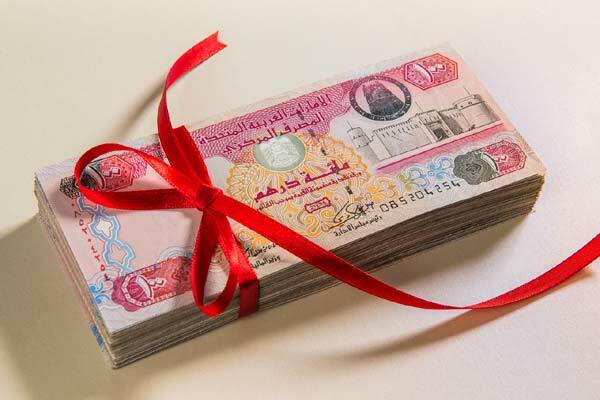 The marriage grant of Dh70,000 is paid in one installment. Both the spouses must be UAE citizens, with the husband no younger than 21 years and the wife no younger than 18 years. The basic monthly salary of each of the spouses must not exceed Dh25,000. The spouses must submit a grant application within six months from the date of the marriage contract and must attend awareness courses and lectures organised by MOCD within one year from the date of application, the report added.